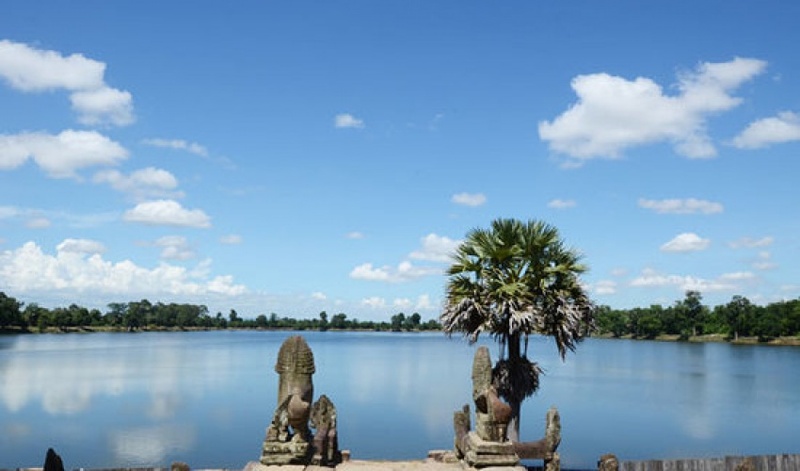 Sras Srang is an ancient manmade lake which is 800m by 400m. 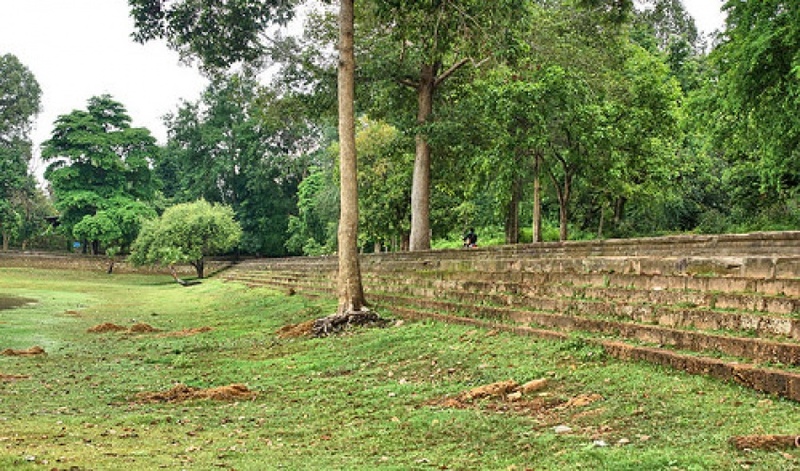 built by king Rajendravarman II in mid 10th century. 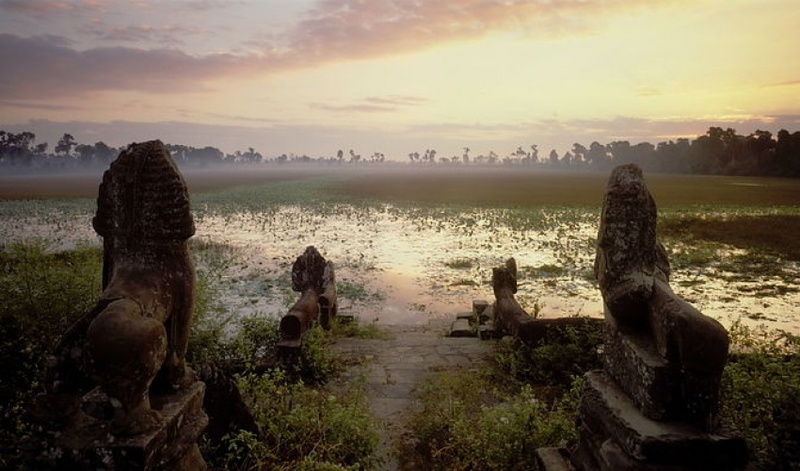 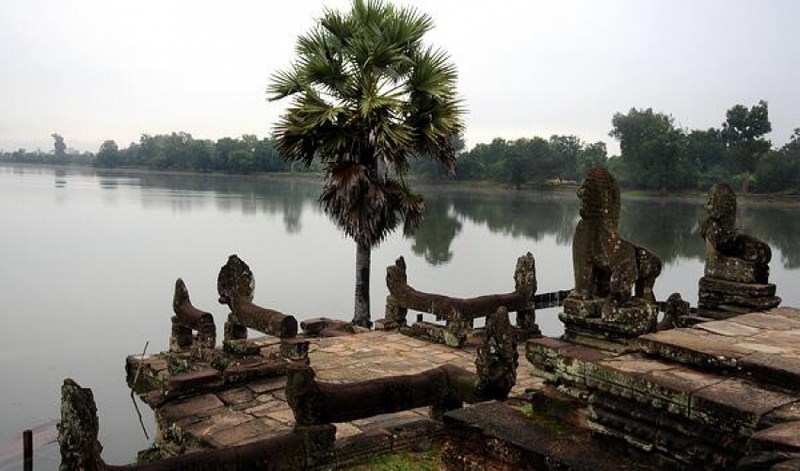 Later, this lake was restoredand enlarged by king Jayavarman VII in late 12th century. 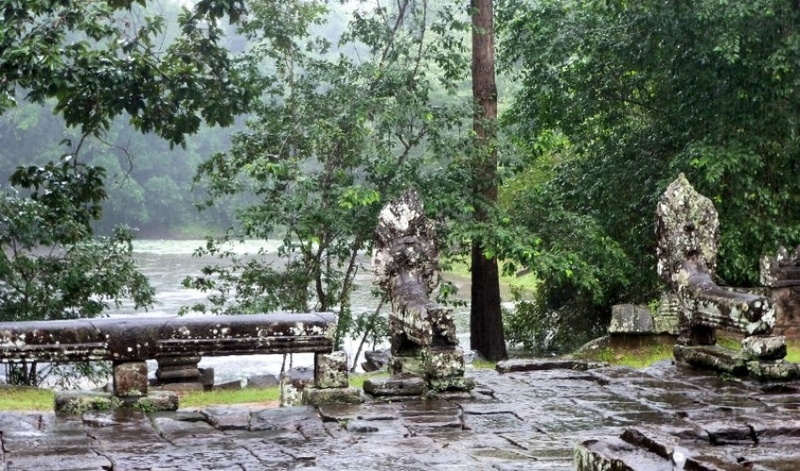 Originally, there was a small shrine in the middle, but today it completely collapsed that we could only see its stone foundation in the dry season. 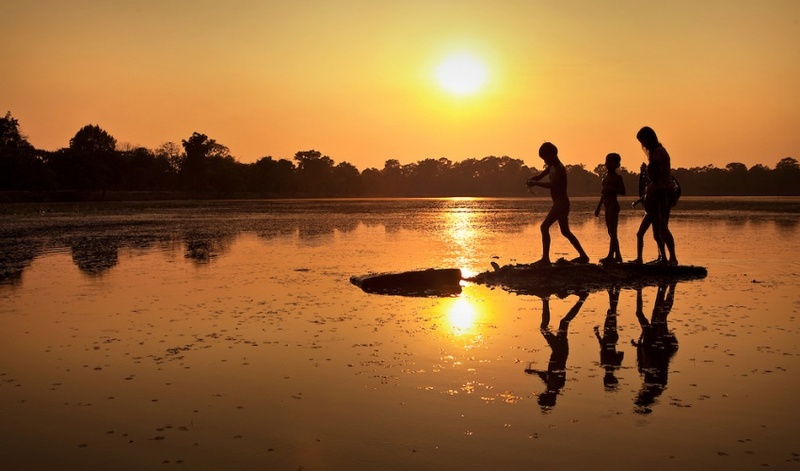 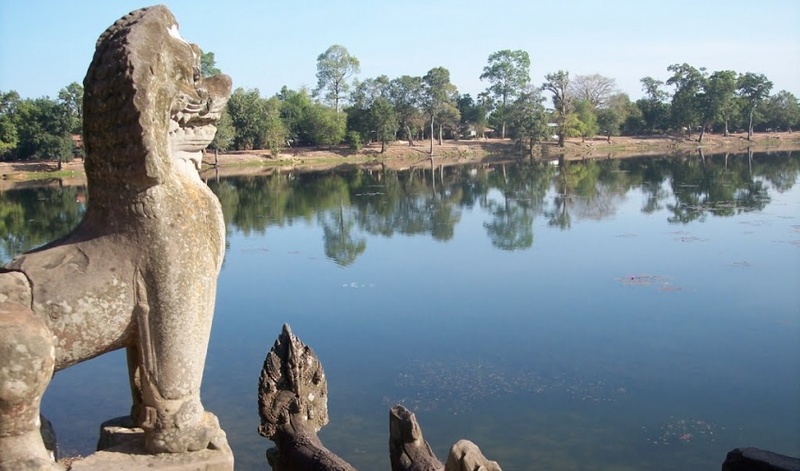 Besides storing water for agriculture, Sras Srong was also used daily by students and monks who stayed in Banteay Kdei temple which was a Buddhism Education Center in late 12th century. 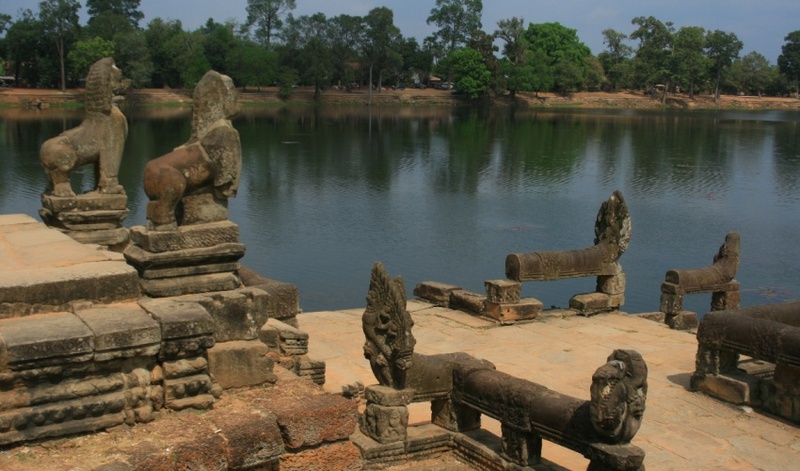 There is a royal sandstone platform which is decorated with Naga balustrades and two lion statues as guardians to the west side. 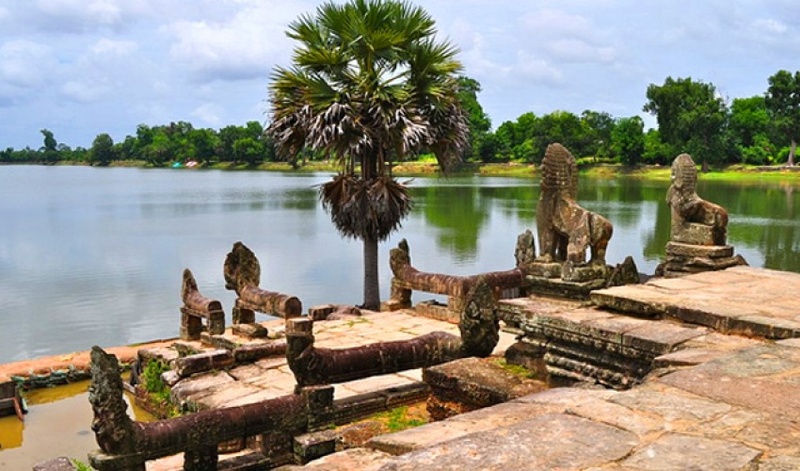 This platform was used by the royalty and dignitary families to see the ceremony while the public sat on the steps or grandstand surrounding this lake to watch the festival. 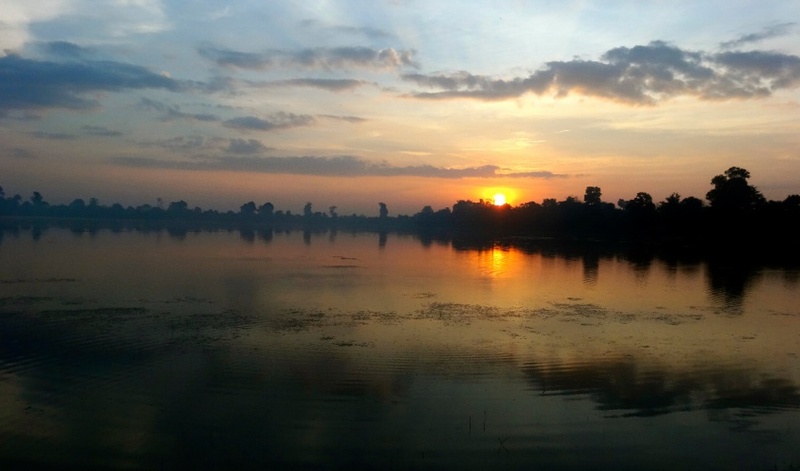 Sras Srang is a good place to see sunrise from this west platform and sunset from the eastern side. 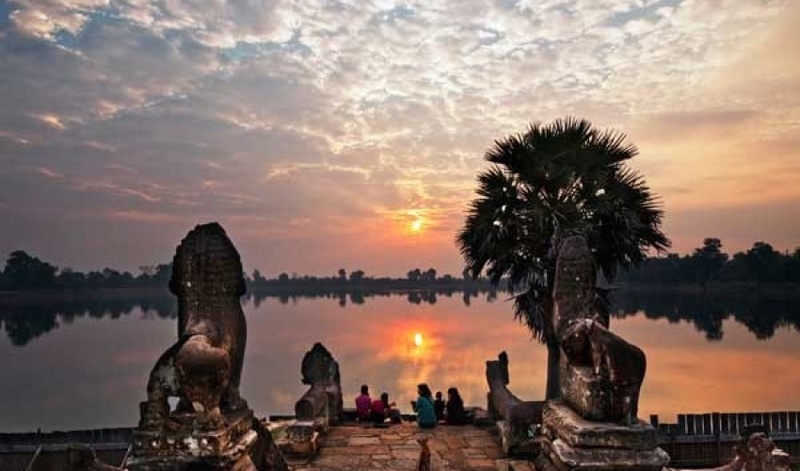 When the sun reflects into the water, the tourists feel romantic and mysterious. 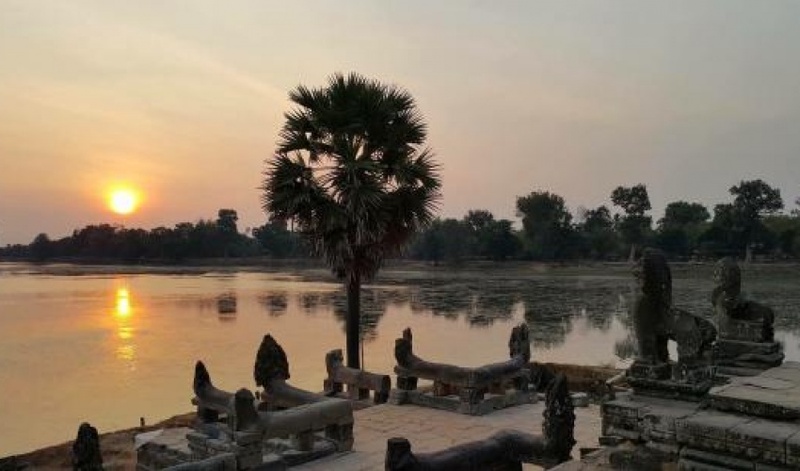 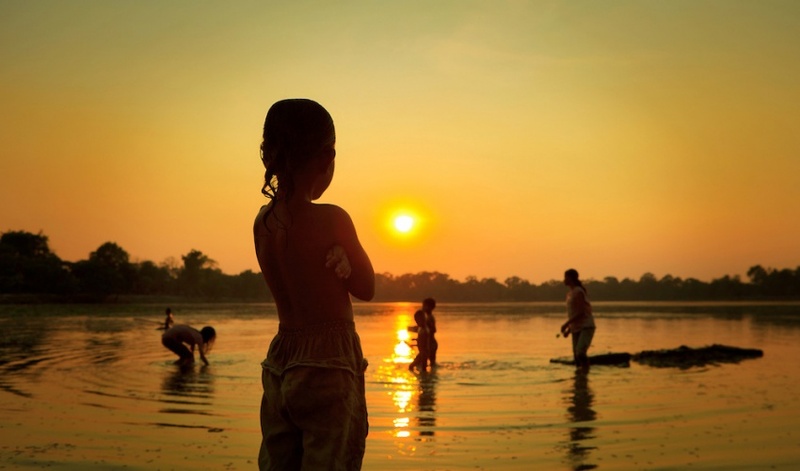 But the local people imagine a lot about the glorious civilization of their ancestors and they’re also very sad when they remind about the darkest age of Cambodian history during the Khmer rouge regime. 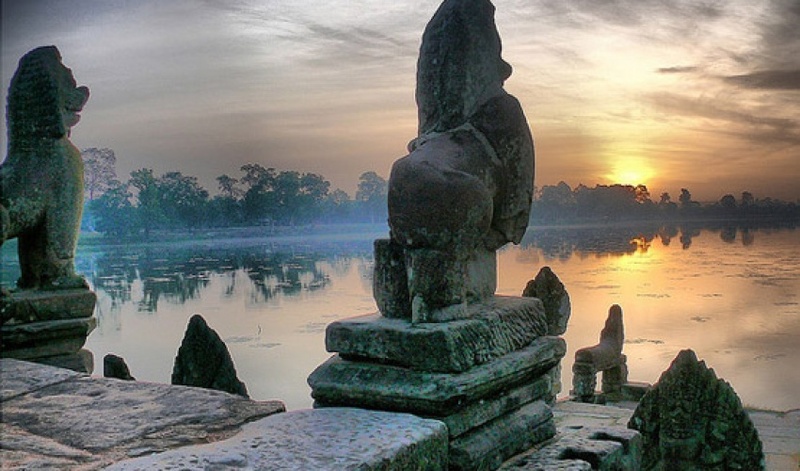 During the reign of King Jayavarman VII who crowned from 1181-1221, the regatta or boat race of water festival was cerebrated here once a year at the end of the rainy season.every year during that time, boats which belonged to monasteries around the kingdom were sent to race here. 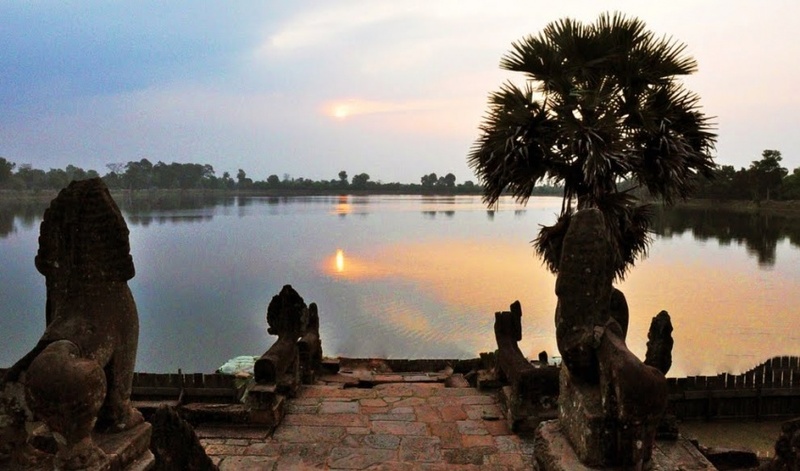 they raced boat during the day, but at night the people came to float offerings to dedicate to the Khmer navies who had died in the battlefield and to show respects and gratefulness to the spirits of water, soil and sky as well. 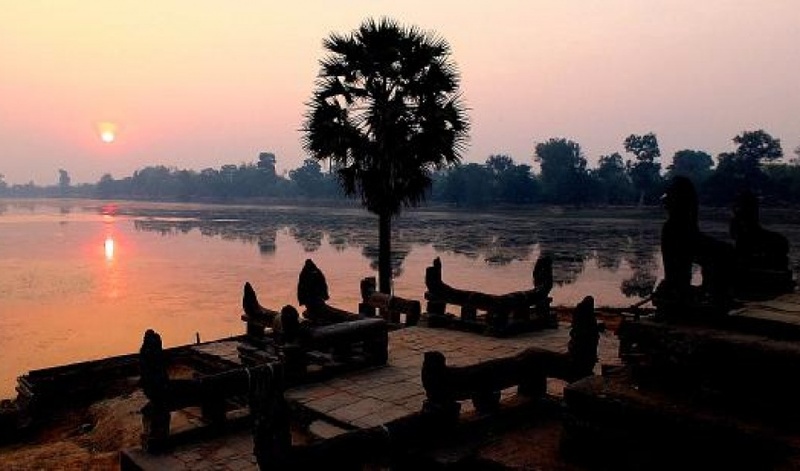 After the floating ceremony, at midnight people arranged coconuts, bananas, pounded rice soon as offerings to dedicate to the moon, and then Brahmins predicted how much rainwater would come down in next year. 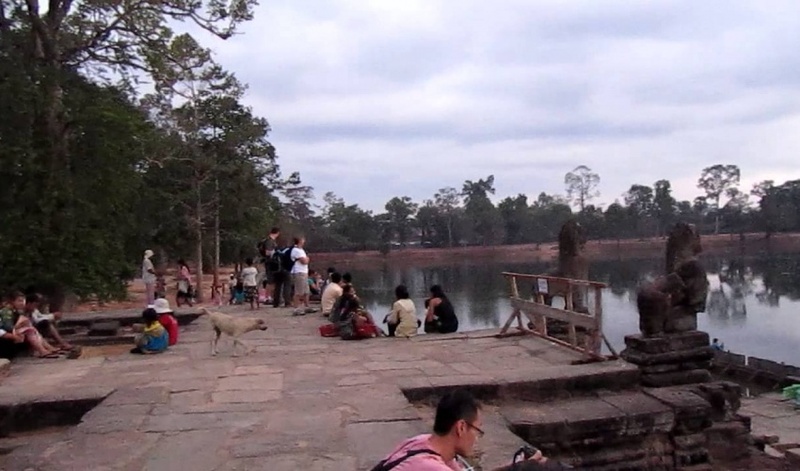 from 1975-1979, Khmer Rouge soldiers used the northern site of this lake as a graveyard, but the villagers destroyed that memorial pavilion, and built houses instead after the Vietnamese invasion in 1979.